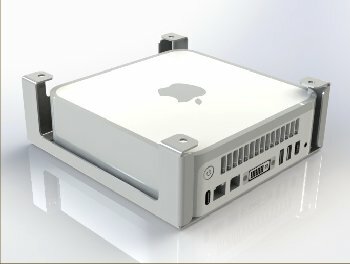 We have developed security cages designed to secure and protect your Mac Mini or Apple TV. 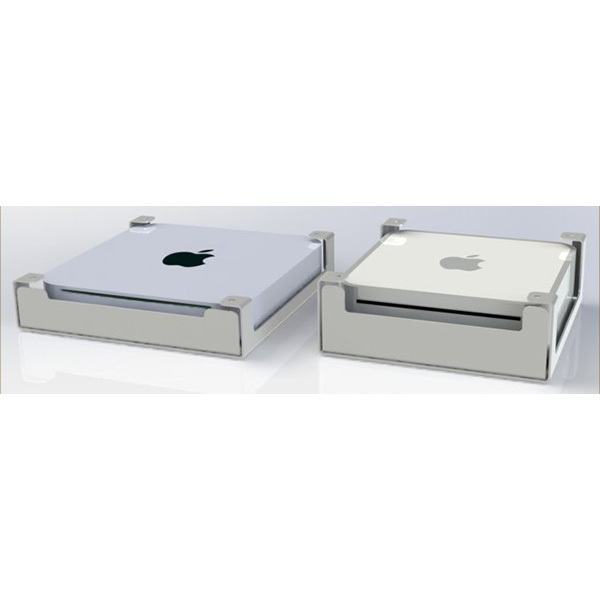 Designed especially for these products, the Mac Mini security cage and Apple TV security cage is suitable for all 2nd and 3rd generation Apple TV models. Produced in the UK to our highest quality manufacturing standards and offer a safe and robust storage solution. The ATV is manufactured from 1.5mm steel and comes in two pieces. 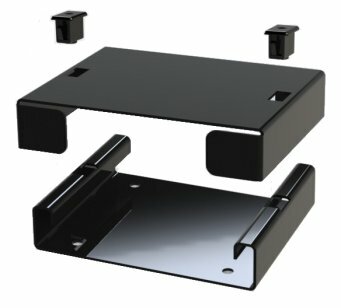 Part one is a base fixing plate for securing to the available surface, such as a desk, shelf or table. Part two is the cover which acts as the protective locking plate and encloses the Apple TV unit. The cover is secured into position using two low profile joiners with a quarter turn keyed locking mechanism. To prevent removal of the unit, the front and rear of the cage has retaining arms. These allow for cable connection and keep the front open for use of the remote control. Units are painted in tough gloss black powder coat. 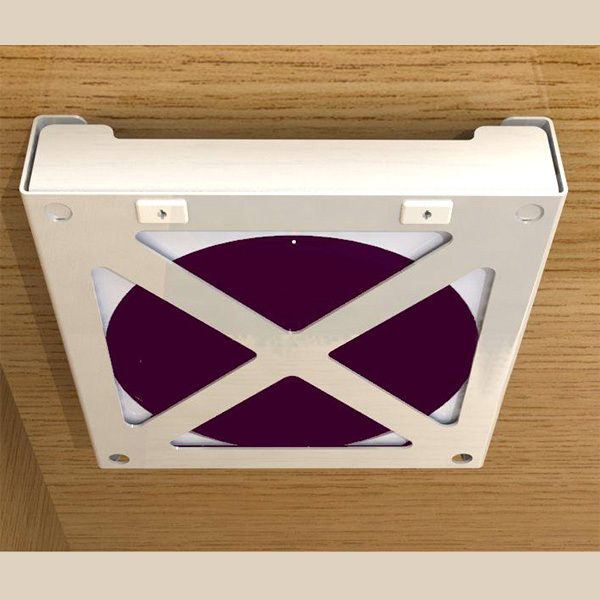 This finish guards against the knocks and bumps associated with daily use, especially relevant in any busy environment. The cages have been designed with security in mind, that’s why the fixing holes face inwards towards the centre of the unit. Once fitted and an Apple TV is installed it is not possible to access the fixing screws and hence you can be sure that the unit will remain where you fit it. 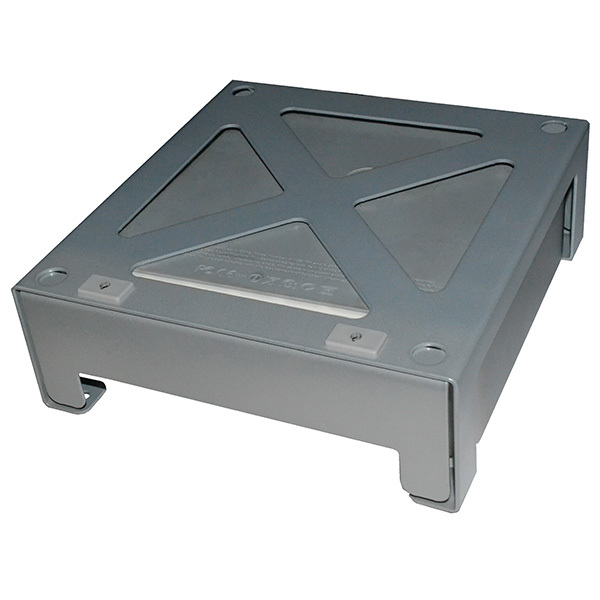 Furthermore, this unit can be installed on any surface including tables, desks and walls. It can also be installed in any orientation to match the chosen destination location. See the standard range here. Please complete the form below and we will call you back as soon as we can.